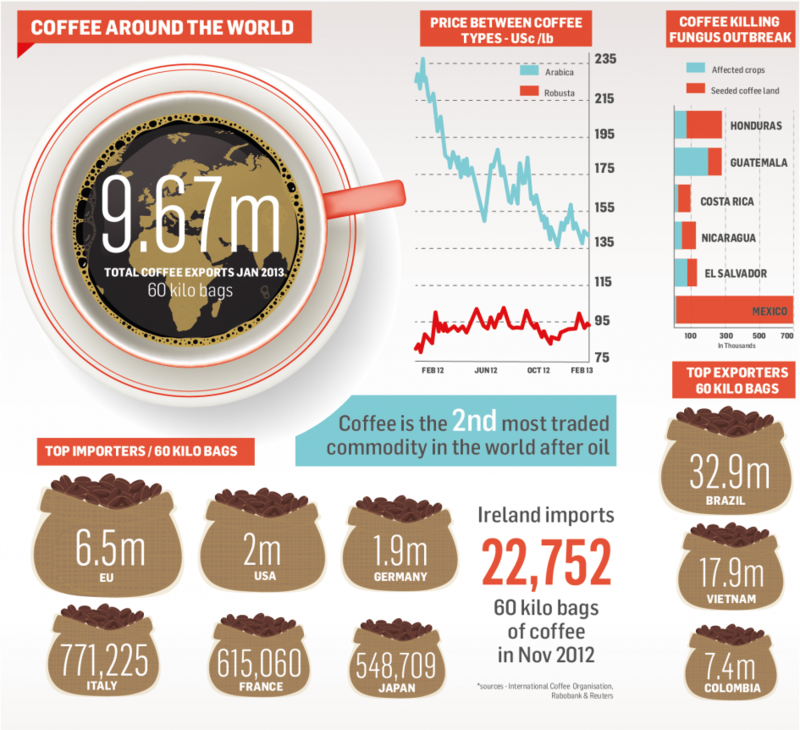 Who Imports and Exports the Most Coffee? We've looked a lot at coffee and coffee consumption here at FDL but it's usually with reference to a specific country or kind of coffee. In this infographic, designed by Bold Face, coffee consumption around the world is broken down with some interesting results. With 6.5 million 60 Kilo bags a year imported into Europe it beats all other parts of the world - Italy os of course sits at top of the chain, closely followed by France and then Japan. There's also other interesting snippets of info such as the fact that, after oil, coffee is the second most traded commodity in the world.